Photographic Story. 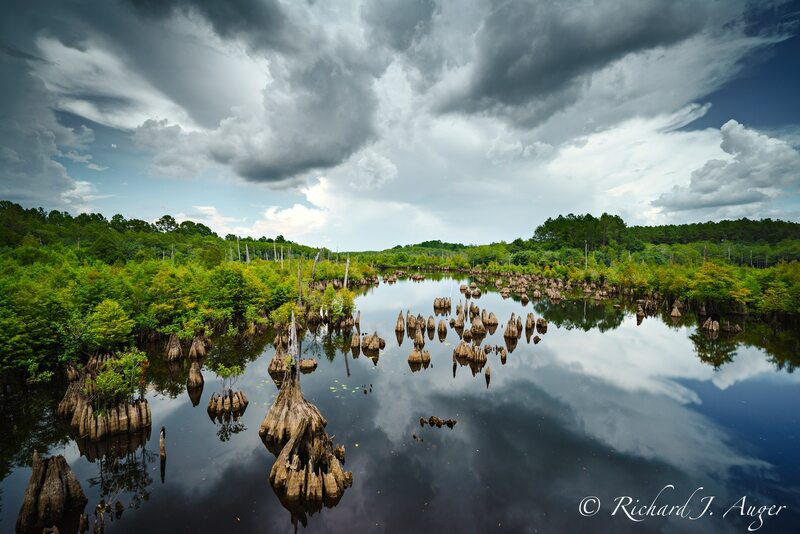 Located in the heart of the Florida Panhandle, Dead Lakes is believed to be formed when sand bars created by water flowing from the Apalachicola was blocked up by the Chipola River, which flooded the forests and created a lake within the trees. The high flood waters killed many of the trees, but left one of the most beautiful rivers of the Florida Panhandles, along with a thriving ecosystem for plants, trees, and wildlife. I set up my camera as a storm was forming, and the wind finally died down for perfect smooth reflections.